Honey is a superfood providing antioxidants, minerals, vitamins, amino acids, enzymes, carbohydrates, and phytonutrients. Itʼs best if you buy locally grown organic raw honey whenever you can, because itʼs produced by bees which are from the environment in which you live. It is always best to grow or consume foods from the area in which you live as they contain the immune stimulating properties needed for your body to adapt to its environment. Raw honey comes directly from a hive and has not been processed in any way. Not only is honey a cholesterol-free, nutritious food and natural sweetener, but it also has many healing properties and medicinal uses. Honey is one of the most natural remedies for your medicine cabinet! As a healing remedy, raw honey can address multiple issues. Scientific research is ongoing surrounding the benefits of raw unprocessed local honey. Local honey can provide relief from seasonable allergies. Bees are collecting nectar from the very plants that are making you sneeze and sniffle, and so with honey you can ingest minute amounts of the very allergen that is troubling you. A tablespoon of local honey each day can relieve the symptoms of pollen related allergies. Include local honey in your daily diet throughout the year & you may never need to take antihistamines for pollen allergies again. 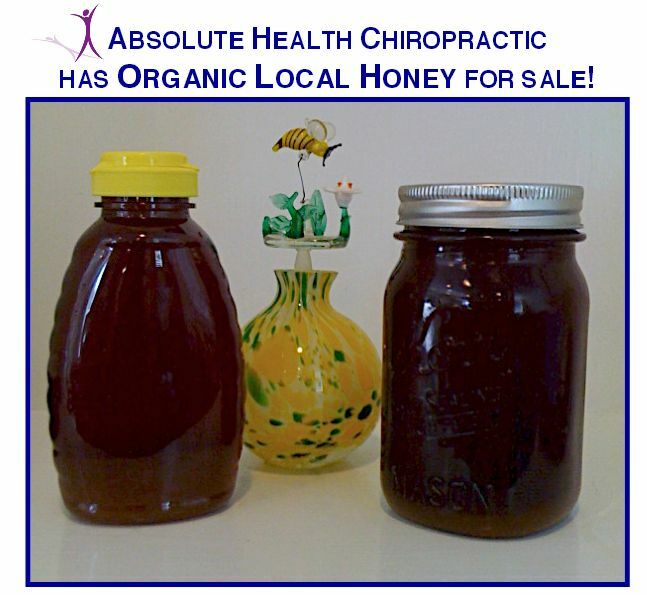 Taking organic raw honey is a healthy way to get an energy boost. Its carbohydrates supply us with energy and strength. It can boost your endurance and reduce muscle fatigue. Take 1 tablespoon of honey prior to a full on workout. Honey is also rich in powerful antioxidants and cancer-fighting phytonutrients, which can be found in the propolis, or "honey glue" that the bees use to sterilize the beehive. Raw honey contains some of these compounds while pasteurized honey does not. A 1-ounce serving of honeyʼs nutritional content contains small amounts of folate as well as vitamins B2, C, B6, B5 and B3. Minerals including calcium, copper, iodine, iron, magnesium, manganese, phosphorous, potassium, selenium, sodium and zinc can also be found in raw honey in small amounts. Honey has also been found to be especially useful in treating upper respiratory infections. A study at Penn State College of Medicine in 2007 found that a small dose of buckwheat honey was more effective than an over-the-counter cough treatment for children.
! In its natural, raw state, honey contains many enzymes that can help some people digest food more easily so it may also help treat ulcers and diarrhea. Honey can be used as medicine. It has anti-microbial, anti-inflammatory, anti-fungal, and antiseptic properties. For this reason it can be applied topically to treat burns, as researchers at the University of Auckland in New Zealand describe in a 2008 study. Remember that itʼs best to use locally grown raw honey, when possible. Seek out local markets for organic goods to get the freshest products. Support your local independent farmers. Helping them stay in business is good for them and for your economy.